Come join us for Mom & Me Kickboxing! 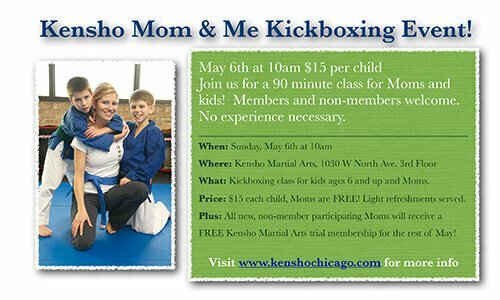 Mom and kids (ages 6+) Kickboxing class with light brunch to follow! All new, non-member Moms in attendance will get a FREE trial membership for the month of May!